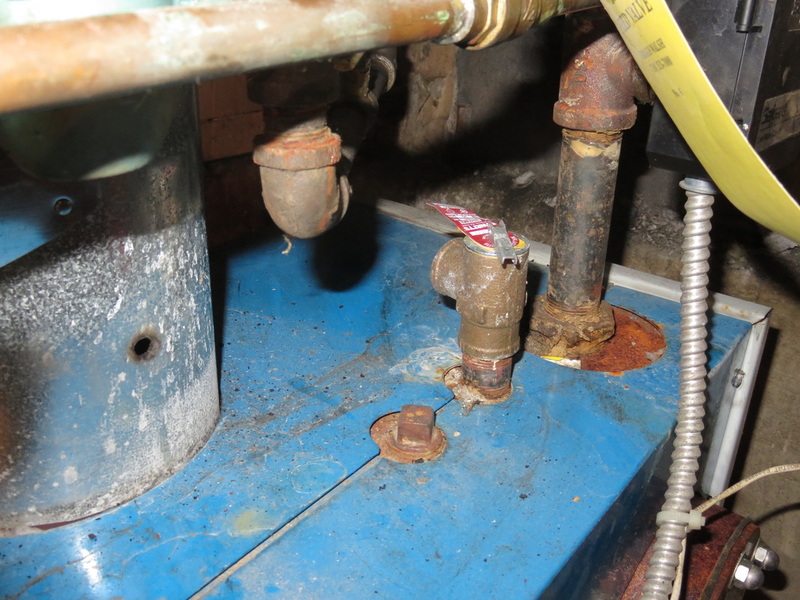 The discharge tube for the pressure relief valve is missing, this is a scalding hazard. The outlet is hanging out of the wall making this a safEty hazard. 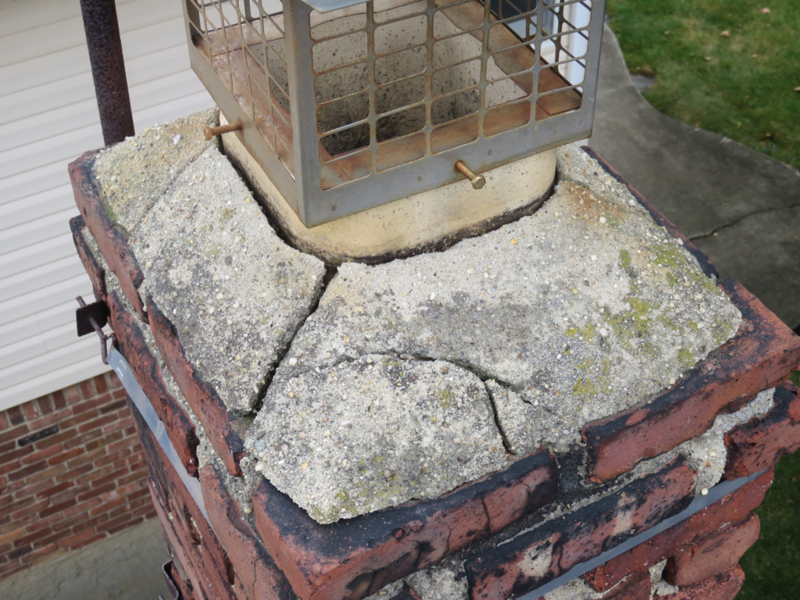 The chimney flashing is in poor condition, which is a entrance way for water and insect intrusion. 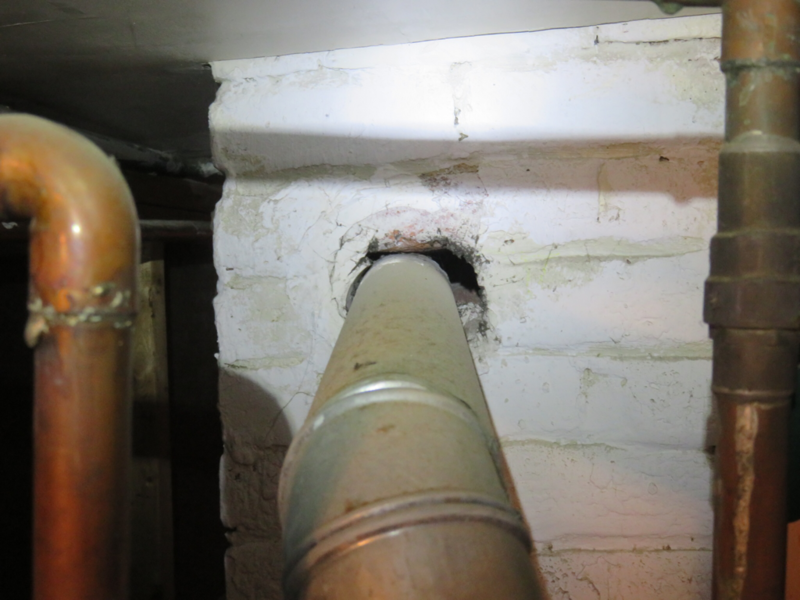 The boiler vent that terminates in the chimney has a large gap around it which can cause carbon monoxide to enter the living space. The chimney crown has several cracks which is a entrance way for water and insect intrusion. 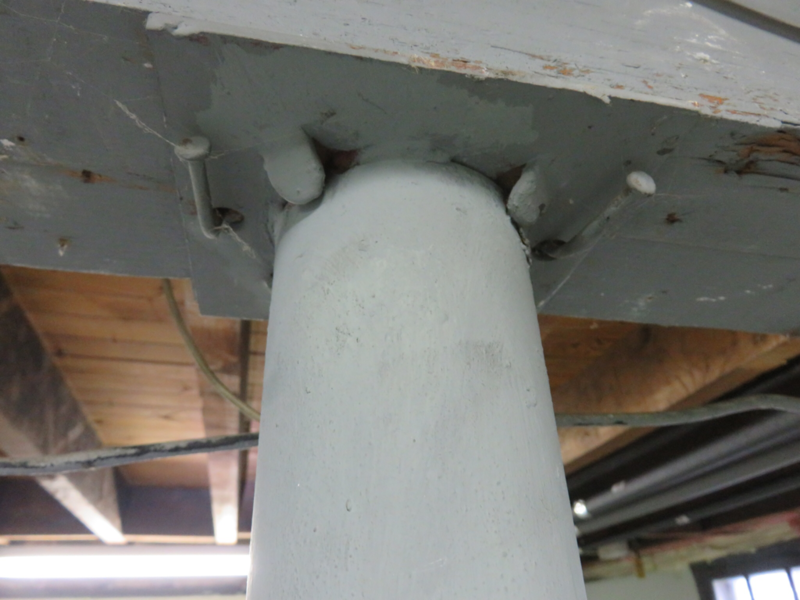 The steel column supporting the main girder for the house does not have the proper fastenings. The nails should be replaced with 1" 1/2 lag screws.